100g of the linseed mix you see in the photo, it contains linseed, chia seeds, goji berries. 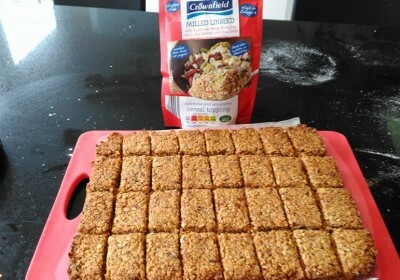 The flapjacks work well, I would recommend you leave it to cool for a while before cutting. I made a another batch and used walnuts instead of the linseed mix and it works just as well.